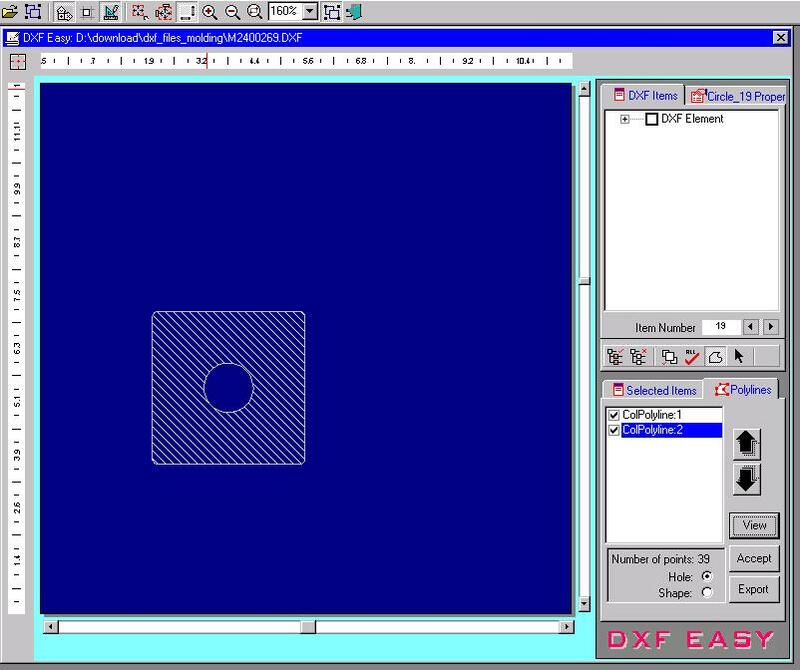 Extract the interesting part of the DXF file you need for your analysis. Structure DXF files as a collection of polylines or polygons, with or without holes. View and print DXF file without need for AutoCADTM Professional. Once the DXF file has been imported in ShapeDesigner, you select the elements you wish to keep. You do this by selecting with the mouse on the image or by navigating the drawing's meta information. Figure 1 and 2 below illustrate a before/after scenario where part of a DXF file is extracted. Click on the image to get a larger image. Sometimes (often? ), the content of DXF files is not structured correctly to be imported easily. For example, shapes and sections may be drawn as a collection of non contiguous line. ShapeDesigner allows you to structure these files almost automatically. Simply select a starting element and ShapeDesigner will navigate the data to form closed polylines. ShapeDesigner also allows you to specify which polylines are holes. See the Interactive Demo (ShapeDesigner Integration) in the right sidebar for an example of how this is done. 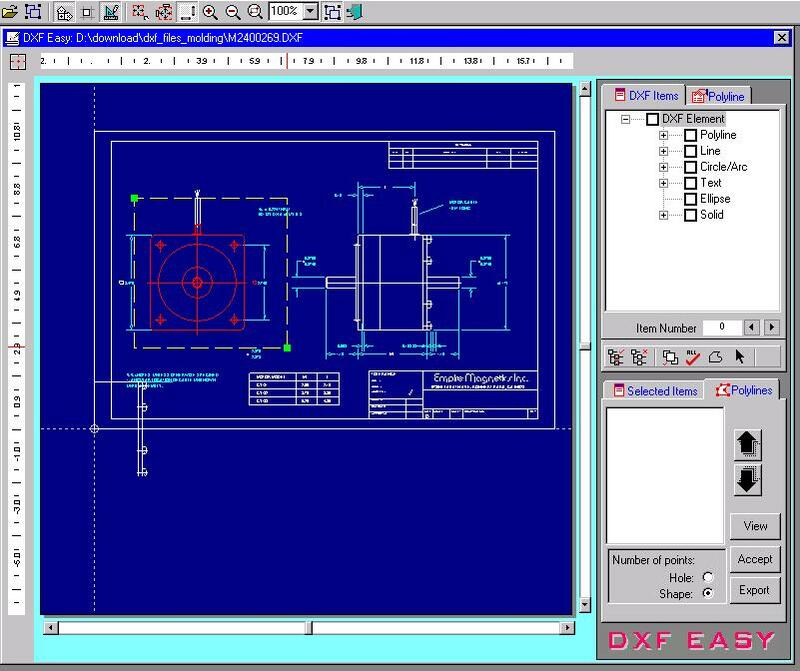 Once your DXF file is well structured, you may save it in its original format (DXF) or you may chose the MechaTools format which is very well suited for import into other tools.